Buying a used car? What are the dos and don’ts? The Covai Post brings in to you..
Used car market has been in boom for the last 10 years. This market revolves around the dream of middle-class citizens looking forward to owning atleast one car in their life time. Coinmbatore is a hub for used-cars’ sale and resale in Tamilnadu. The Covai Post spoke to car dealers, financiers and customers to understand the current scenario. V. Arul Kumar, the owner of Sree Krishna Carrs, an enterprise selling used cars for the last ten years said that most of his customers are from middle class sector, looking to own their first cars, but can’t afford to invest in new cars. “A car is a big life-style upgrade for them” he said. He mentioned that he sells approximately 40 used cars a year,p and the market has dropped significantly after demonetisation since the fund flow has been less among the general public. Arul said that the customers investing in used-cars have to be more vigilant. The condition of car determines the nature of the sale in this business. As a dealer of used cars he observed that most customers focused on the appearance of the cars, but gave less importance to the functioning and mileage. People sought big shiny cars but on low budget. According to Arul, the upper and lower arms of the car, (parts that control the direction of the car), the engine, the paint work, the windshields and mirrors are important components to be checked while buying a used-car. He told that it is imperative to check if there are any significant scratches on the car and one should always pay attention to the window mirrors, to check if they have been replaced. This would mean that the seller is trying to cover a major damage that has happened to the car or hiding the manufacturing year to make a illicit sale, he added. ‘Single owner used-cars’, are the most sought-after among the customers, Arul stated. These cars will be operating on good condition mostly, have higher market value, and are always sold for a good price during resale, he stated. The threat for dealers is when the customer refuses to make immediate transfer of ownership to their names, he added. “If the second hand buyer, gets in trouble with the legal authorities concerning the car, the entire paperwork would be sent to the first owner, which will paint a bad picture about us, the dealers” he stated. 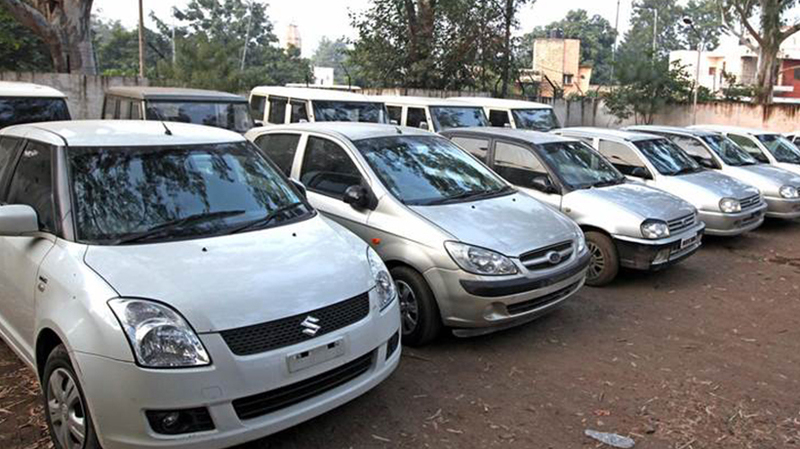 The Covai Post spoke to a private financier about financing options for a second hand car. He revealed that only 40 percent of the total price of the automobile (both bikes and cars) is usually given as loans for second hand automobile purchase on a relatively higher percentage of interst as compared to the banks. If there is any default in due payments, the vehicle is ceased and released only after the full payment is made, he stated. “It is mandatory that the customer, who applies for a loan with us, has to own a house or a piece of land. If not, the person who signs for their guarantee has to own a house” he added, not wanting to be named. The Covai Post spoke to V. Thirumurthi, a 42 year old businessman, who has made more than three second hand car purchases. He said that he didn’t face any difficulties so far in using second hand cars. According to him, the buyer has to understand the basic functioning of a car, the depreciation effects on usage, and the current market value of the car. It is better to hire a mechanic to check the working conditions of the car which is to be purchased. “Once a car is out of the showroom, there is a drop of 30 per cent market value. A single owner used-car would have 20 to 30% added to this, which is not a big deal to worry about if the car’s condition is upto the mark”, he added. CM Jayaraman, a retired bank manager said that nationalised banks were not inclined to finance second hand car purchases. Even if they do, there is complex paperwork involved for both buyer and the dealer. He also told that people mostly approach banks when they purchase new cars rather than used cars.